65" 4K OLED TV with HDR 10, Dolby Vision and HLG HDR processing. 5 year manufacturer's warranty. Free delivery. Possible 2.88% TopCashback cashback, worth £80.61. No dolby vision on this tv. 65"" will blow your eyes. Not sure how it compares to LG OLED65E7V which has both Dolby Vision and Dolby Atmos. I'm sure, thats what Simply Electricals stated to me via live chat this morning. Hdmi 2.1 just been confirmed. Will support 10k. Id wait if your thinking of spending a lot of money on a screen. I'm sure, thats what Simply Electricals stated to me via live chat this …I'm sure, thats what Simply Electricals stated to me via live chat this morning. 65"" will blow your eyes. Not sure how it compares to LG OLED65E7V which …65"" will blow your eyes. Not sure how it compares to LG OLED65E7V which has both Dolby Vision and Dolby Atmos. Hdmi 2.1 just been confirmed. Will support 10k. Id wait if your thinking …Hdmi 2.1 just been confirmed. Will support 10k. Id wait if your thinking of spending a lot of money on a screen. The only reason to wait, is to wait for 8K and 8K content. HDMI 2.1 really does not benefit us today. It's more of a future proof specification. Unless you think 8K will be the norm next year? Not sure how this is cold, stonking price for arguably the best Oled on the market. I first read august 2017 for the update so I for one will not be handing over a big thick wedge of cash on maybe, very nice tv but too risky for my money if not already Dolby Vision compatible. I first read august 2017 for the update so I for one will not be handing …I first read august 2017 for the update so I for one will not be handing over a big thick wedge of cash on maybe, very nice tv but too risky for my money if not already Dolby Vision compatible. but its not a maybe, the recent demo shows Dolby vision working on the TV posted by a very creditable AV expert. Well if that's the case, LG is offering 800 cash back via redemption on OLED65E7V. It's getting DV so no worries about that. However, CES is happening 8th January ,where all the new tvs will be announced..so it's worth waiting, and this set will be even cheaper! The only reason to wait, is to wait for 8K and 8K content. HDMI 2.1 really …The only reason to wait, is to wait for 8K and 8K content. HDMI 2.1 really does not benefit us today. It's more of a future proof specification. Unless you think 8K will be the norm next year? Still a long way to go. If a was spending a lot it would just be nice to have future proof as possible. Tech is changing so quickly now. how much 4k content is available for UK viewers with no interest in gaming? You're better off spending 4k on a memorable holiday with your kids. 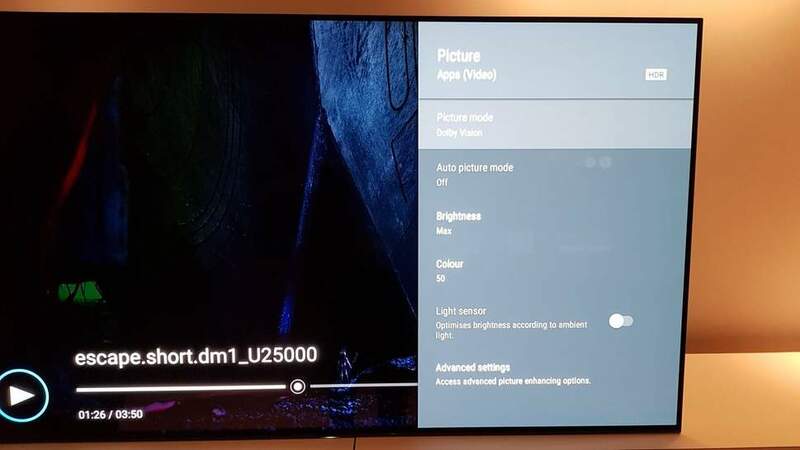 Too risky for my money buddy, I did see this offer earlier this morning hence why I contacted the seller directly and the reason I've held off buying until its Dolby Vision compatible but its the very best oled picture that Ive seen. Just my opinion buddy. Too risky for my money buddy, I did see this offer earlier this morning …Too risky for my money buddy, I did see this offer earlier this morning hence why I contacted the seller directly and the reason I've held off buying until its Dolby Vision compatible but its the very best oled picture that Ive seen. Just my opinion buddy. I agree, it blows all other Oleds out of the water, especially motion and clarity thanks to its X1E chipset but you are paying a premium for it. Dolby Vision is coming, but in the unlikey event it doesnt, Sony will get done and more likely have to refund everyone as it has DV has been advertised on the product page. Of course it's getting Dolby Vision, it's even listed in the specs. I'm in the market for a new TV but might wait to see how much further it drops. 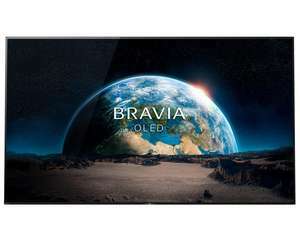 Great TV but the ZD9 has a better picture then the OLED and as far as I am aware the best picture om the market? You truly believe that? Why would you just take a tv out of the box and then put it back in. I think in 99% of cases someone has taken it out, turned it on, not been happy for whatever reason (dead pixel, light bleed etc) and returned it. You truly believe that? Why would you just take a tv out of the box and …You truly believe that? Why would you just take a tv out of the box and then put it back in. I think in 99% of cases someone has taken it out, turned it on, not been happy for whatever reason (dead pixel, light bleed etc) and returned it. Not sure how this is cold, stonking price for arguably the best Oled on …Not sure how this is cold, stonking price for arguably the best Oled on the market. And how is this worth more than £1,000 more than the lgb7 when the difference is negligible? And how is this worth more than £1,000 more than the lgb7 when the …And how is this worth more than £1,000 more than the lgb7 when the difference is negligible? Firstly the difference is not negligible, walk into a showroom and view them both side by side. Secondly, the current cheapest price of the E7 is £2500, this is sub £3000. Is the A1 worth £500 more than E7, depends on the person. But if you want unmatched motion and upscaling then £500 is not a lot of money if you are looking at spend upwards of £2500+ for a TV. B7 65 is not much cheaper than the E7. If competitive gaming is your think then go for the LG for sure. Lower input lag. If you want to best of the best it at a premium unfortunately. Kidding aside, this just misses the mark for me. Not voting cold though. I had a demo of this in Currys a couple of weeks ago and it is by far the best TV i have seen in a while. all the sound comes direct from the glass panel so no speakers or sound bar needed and the quality is second to none. I have been so tempted at this price but i only upgraded 6 months ago to a Sony no less. I love the Android OS built i have it connected to my server and stream direct through Kodi. I have also side loaded an app to view my CCTV. If it was £2.5k i think i would go for it. I had a demo of this in Currys a couple of weeks ago and it is by far the …I had a demo of this in Currys a couple of weeks ago and it is by far the best TV i have seen in a while. all the sound comes direct from the glass panel so no speakers or sound bar needed and the quality is second to none.I have been so tempted at this price but i only upgraded 6 months ago to a Sony no less. I love the Android OS built i have it connected to my server and stream direct through Kodi. I have also side loaded an app to view my CCTV.If it was £2.5k i think i would go for it. How do you get Dolby Atmos from the glass panel? Dolby vision will be irrelevant in the face of HLG for most of us - most importantly, is this TV HLG ready? how much 4k content is available for UK viewers with no interest in …how much 4k content is available for UK viewers with no interest in gaming?You're better off spending 4k on a memorable holiday with your kids. This Sony is way overpriced agreed. However, it is worth spending the extra money on OLED as you benefit from the superior colour/contrast every day on every program. It doesn't have to be 4K or HDR to get the benefit of OLED. Firstly the difference is not negligible, walk into a showroom and view …Firstly the difference is not negligible, walk into a showroom and view them both side by side. Secondly, the current cheapest price of the E7 is £2500, this is sub £3000. Is the A1 worth £500 more than E7, depends on the person. But if you want unmatched motion and upscaling then £500 is not a lot of money if you are looking at spend upwards of £2500+ for a TV.B7 65 is not much cheaper than the E7.If competitive gaming is your think then go for the LG for sure. Lower input lag.If you want to best of the best it at a premium unfortunately. I agree the Sony may look significantly better in a showroom, but that's due to LG's processing settings being rubbish and really artificial. The LG's really shine when you turn all of the processing off. If your going to do a side by side test, just bear this in mind. Plasma didn't need any processing, (as it didn't suffer the issues of LCD,) so why should OLED? I have no idea just saying what the guy at Curry told me. Whatever was coming out of it, it sounded really good. I have no idea just saying what the guy at Curry told me. Whatever was …I have no idea just saying what the guy at Curry told me. Whatever was coming out of it, it sounded really good. Lol the guy is lying to you. No atmos. I agree the Sony may look significantly better in a showroom, but that's …I agree the Sony may look significantly better in a showroom, but that's due to LG's processing settings being rubbish and really artificial. The LG's really shine when you turn all of the processing off. If your going to do a side by side test, just bear this in mind. Plasma didn't need any processing, (as it didn't suffer the issues of LCD,) so why should OLED? With no processing LG is exactly the same as Sony with no processing. Switching Sony's processing on, take it to another level all together. With no processing LG is exactly the same as Sony with no processing. …With no processing LG is exactly the same as Sony with no processing. Switching Sony's processing on, take it to another level all together. As most processing settings are a hangover from trying to sort out the deficiencies of the LCD days, I'm struggling to understand why you should need processing? If a producer wanted you to see something different from there video capture, surely they would apply the process on there end so everyone benefits? IMO, the great thing about Plasma and now OLED, is that the panel is good enough to provide a fantastic picture without the need for any processing at all. I've demoed lots of TV's from Sony in the past and I've found the processing can make things look better at FHD but this always comes at the expense of SD being filled with artefacts and being totally unwatchable. Any owners of this TV and can confirm if its had the Dolby Vision update yet?